In this episode of SHOP Talk with Riley Bowman, he discusses the law of self-defense. Chances are good that you don't know as much about the laws of defending yourself as you should. Heck, I used to work for a company that teaches these laws and I don't know them as well as I'd like. 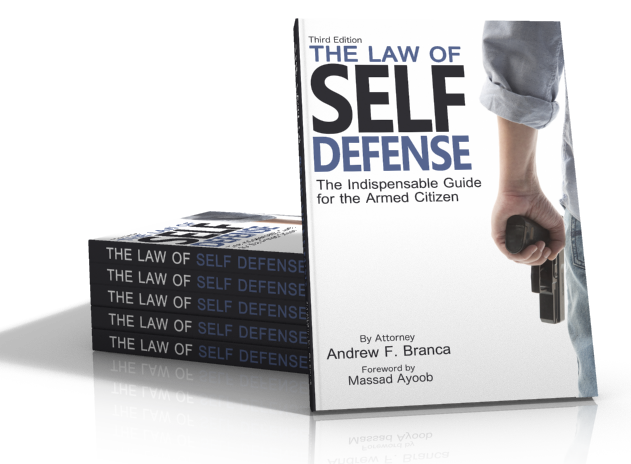 In this episode, Riley focuses on the 5 elements of self-defense, as presented by attorney Andrew Branca in his book titled, The Law of Self Defense. I'm not going to steal his thunder here, but we'll discuss one of these elements right now. This element is the one of innocence. What this means, is that you cannot effectively claim self-defense if you're the provocateur of the entire ordeal. In other words, you can't claim innocence if you're the one who started the fight. Another way of looking at it, is you're innocent if you were involved in this critical incident where you had to defend yourself based on nothing you had done to get you there. Or, the fight came to you. It was not a choice of your own, and if you could have avoided the confrontation, you would have. That's just one of the elements, and really, the common sense one. There are 4 others, which Riley touches on in the below video. Truth be told, if you don't know the laws of self-defense, you could end up jamming yourself up big time in court. This is one of the reasons why we always recommend learning as much as you can before you have to use your firearm in self-defense, as possible. You can find the book, The Law of Self Defense, here. And for the next few hours only, until 11:59 MST tonight, if you spend $70 on other stuff from our store, we'll throw the book in for free. This is our April Fools Flash Sale, and it can be found, here. Again, it's almost over so take advantage of it NOW. Finally, make sure you get to watch all the SHOP Talk videos, here.